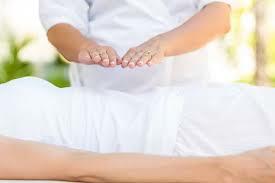 Reiki 1 is the foundation level for activating the Reiki flow in your hands for life. This 2-days workshop teaches the traditional Usui Reiki which does not require any religious or spiritual background. It is ideal for anyone wanting to help themselves and others to improve vitality and health, and achieve calmness and peace. Reiki 2 is for those who wish to advance their Reiki flow, send Reiki over distance and time, and to develop alternatives uses of the Reiki energy. This advanced level has to be taken at least 2 months after Level 1. In this 2-days workshop, a second degree attunement is given and 3 symbols are taught for the practitioner to use as tools to bring their Reiki practice to the next level. For Reiki 3 and Reiki Master Training, please contact us for more information.